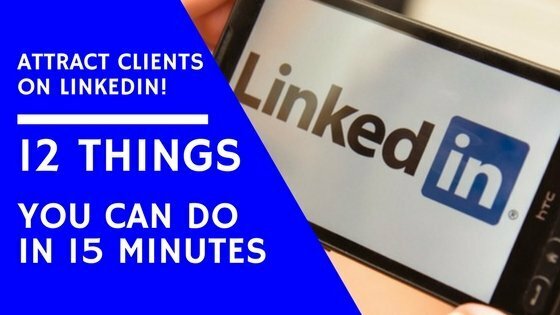 A lot people I talk to think they need to be spending a ton of time to attract clients on LinkedIn. But, in my experience when you know where to spend your time and what to focus on, you can accomplish a lot in little 15 minute spurts. LinkedIn is a great resource for marketing your business to help you attract clients on LinkedIn with ease. And it’s free. I used to spend $50,000/year in advertising. I love that all the marketing I do on LinkedIn is free! Here are 12 tips to help you attract clients on LinkedIn in just 15 minutes a day. 1. Send 10 LinkedIn invites to continue to grow your network of your ideal clients and potential strategic referral partners. The more people you have in your network the easier it becomes to attract clients on LinkedIn. I noticed more prospects responded to my LinkedIn activity once I hit the 500 connection level. 2. Research 1 or 2 potential clients. This will help you target your services and they’ll be impressed by what you know about them. 3. Post 1 tip. Choose 1 tip to share that solves a common struggle among your target market. Like bees to honey your tips shared consistently attracts clients and draws them to you while building your thought leadership. 4. Scan and search for relevant LinkedIn groups to join. If you want to attract more clients on LinkedIn be found where your best prospects are. As of this writing (May 2018) I have found that the overall effectiveness of posting a new discussion inside LinkedIn groups have has shrunk quite a bit. Although there has been less engagement in LinkedIn groups, joining targeted groups is still a useful tactic to help you get connected with members inside the group who share targeted interest. 5. Keep a friendly eye on your competition. Watch what your competitors are up to from their LinkedIn activities and what they post. This will give you a good idea about how you can differentiate yourself from them and add value in your own unique way. *You probably want to change your settings to anonymous prior to viewing their profiles. 6. Improve your profile. Your LinkedIn profile will either make a great impression or a terrible one. You don’t want people to be confused as to who you help, what you do and why you’re different than your competitors. Remember, a confused mind says ‘no’. Go through your profile and make sure everything is complete, up-to-date and you’re communicating the right messaging. Read it as if you were a potential client or partner and notice what they would see. 7. Recommend 1 person in your network. One great way to get recommendations is to give them. Be thoughtful about who you give them to though. You should recommend those people who you have experienced their services. 8. Request 1 recommendation. Don’t just do great work for others. Ask them to recommend you as well. The best people to approach are those who already know, like and trust your work. There is a limit to how many people you can request recommendations from at one time. And you can’t ask someone more than once to recommend you if your request is pending. I know many of my own clients have told me what attracted them to me on LinkedIn was reading my client recommendations. 9. Leverage LinkedIn messaging. When you have a few minutes to kill, use the LinkedIn app on your smartphone to send and respond to messages. LinkedIn Messaging allows you to communicate with other LinkedIn members that you’re connected to. On LinkedIn, you can only message your 1st-degree connections (and, within group pages, fellow group members) for free. If you aren‘t connected, you always have the option to send an InMail. Next to each person’s photo you’ll see a green dot that lets you know they are online and on LinkedIn, which means people tend to message you back right away. 10. Create a quick video. Yes, you can create a video in just 15 minutes if you get out of the perfection trap. Smartphones have great video cameras which already has easy options to upload straight to YouTube from your phone. Just talk for 1-2 minutes where you can share a couple of quick tips. Then you can upload your video right from your phone straight to your page on LinkedIn. What attracts clients on LinkedIn faster is giving them the ability to feel like they can “meet” you even when you’re not available in person. 11. Share your comment on 1 or 2 LinkedIn posts in your feed. Ideally, you should look for posts on topics in your area of expertise. This is a great way to network with people and add value to conversations. Look for discussions that solve the problems of your ideal clients. When you add to the conversation, you’re showing the depth of your thought leadership on your topic and that not only attracts clients on LinkedIn the day you posted your comments, but even long after since your connections (and everyone else’s connections who commented) will have that post show up in all of their feeds as well. 12. Ask for an introduction. You can search LinkedIn for specific job titles as well as specific companies and geography and LinkedIn will show you a list of results and whether they are a 1st, 2nd or 3rd degree connection. It will also tell you who you are connected to who is connected to the potential prospect you wish to be introduced to. So, who makes a great strategic referral partner for you? Who is the ideal client / decision maker? You can find them all on LinkedIn, find how you’re connected to them and just ask for an introduction. It’s really that simple and easy. If you’re currently not getting a steady flow of new leads and new clients from LinkedIn you’re stepping over $30,000, $100,000, even $250,000+ in new business. It makes sense then, to invest in getting expert help. Many clients have gladly paid me well over $10,000 to help them leverage LinkedIn and they’ve still reaped well over 10X the return on investment. I only have limited spots in my calendar to work with people at this ridiculous low offer. The link above will disappear when spots get filled up, so be sure to take action now and start to attract clients on LinkedIn while you can. QUESTION: What do you think is stopping you from unleashing the power of LinkedIn marketing for your business? 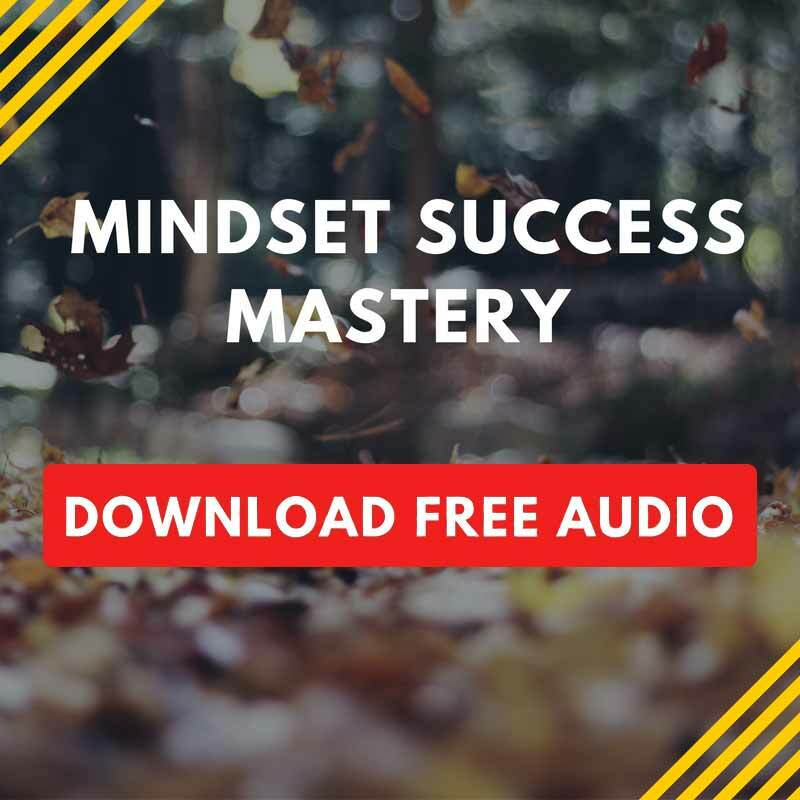 Yoon Cannon helps entrepreneurs overcome your biggest obstacles, so you can create a thriving business and life you love! Yoon has started and sold three other businesses and has been featured in: CNN Money, Inc., Entrepreneur, Fortune and The Wall Street Journal. Is Your LinkedIn Photo Costing Your Clients? Do You Ever Feel Inadequate? Are Pop-Up Opt-Ins Affecting Your Site Traffic? How to Deal with Competition in Your Industry? Boosting Sales – My 5 Step Process That Really Works! Are Your Thoughts Boosting or Killing Your Sales? 3 Networking Tips to Stand Out and Attract More Clients! Does Your Business Have Bad Breath? LinkedIn Marketing Tips – Is Your LinkedIn Photo Costing You Clients? 6 Affordable Trade Show Tips to Double Your Success! How Do You Develop a Winning Brand Strategy for Your Small Business? What’s Your Follow Up System? Is Live Chat Software Worth the Cost for Your Business? Ask Me All Your Burning LinkedIn Questions! Make Your Marketing Strategies Easier With S.Y.S.T.E.M.S. Outsourcing and Hiring Tips – See How You Can Easily Work Less, Play More and Earn More! Stop Wasting Time and Start Making Money — 6 Productivity Tips to Help You Make More Money This Year! Why Entrepreneurs Procrastinate & How to Overcome It! Do Performance Reviews Really Work? Achieve Breakthrough Success in 2015! How This Recent College Grad Bootstrapped His Way to 5 Million! Strategic Planning Tip – Staging Your Business to Succeed! Superman’s Motivation – Do You Have It?